I’ve recently been trying out Gowalla, a location-based social network that launched at SXSW this year along with Foursquare. Foursquare picked up a bunch of early adopters (I’ve been using is since it launched), especially those who used to use Dodgeball, but in the last few months, Gowalla has been ramping up quite a bit. The two services are similar, with one major difference is that Gowalla uses GPS to verify locations, where with Foursquare you can check in to a location without even being there, something that is often abused. Also, currently Gowalla is only available for the iPhone without a SMS option, but they are currently working on support for other phones. One big advantage that Gowalla has over Foursquare is that it can be used anywhere around the world. Foursqure is only in available in a few cities at the moment, with plans to expand in the future. 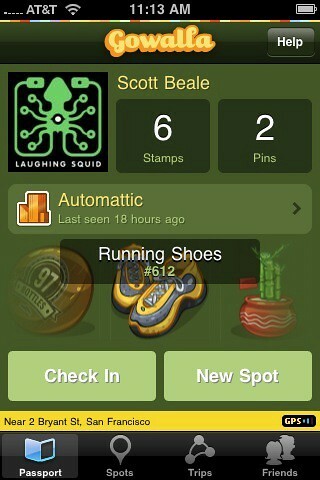 Like Foursquare, Gowalla also has a game layer. You can pickup and drop items at various locations. Dropping an item lets you become a founder of a location when you enter it into their database. 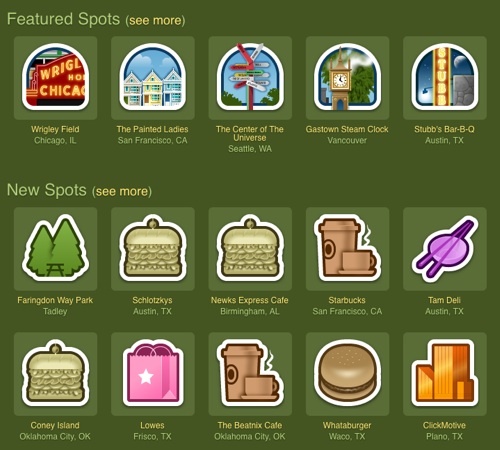 Gowalla also has a “Trips” feature that encourages your to explore new areas in a city. Another thing that sets Gowalla apart is their design. They use a clever icon set for various types of locations as well as many custom graphics for featured spots. The Next Web and TechCrunch both recently did extensive reviews of Gowalla. The best thing about Foursquare and Gowalla is that they encourage people to step away from the computer and leave their home to explore the world around them.